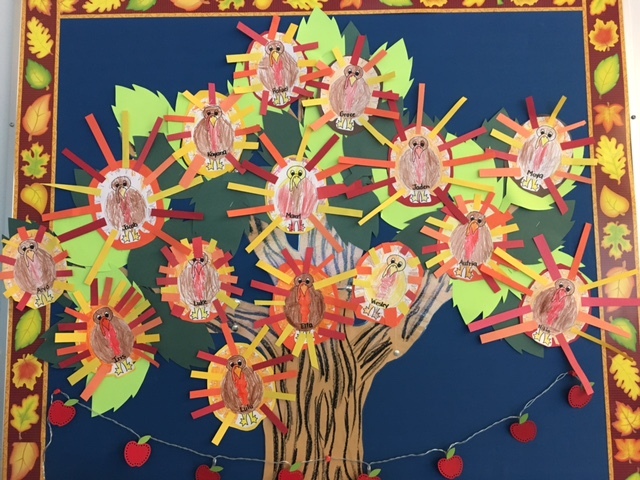 It’s Thanksgiving week in the Kindergarten and we’ve been cooking up all things turkey. We’ve been making cards, colouring, reading and expressing our gratitude for one another. 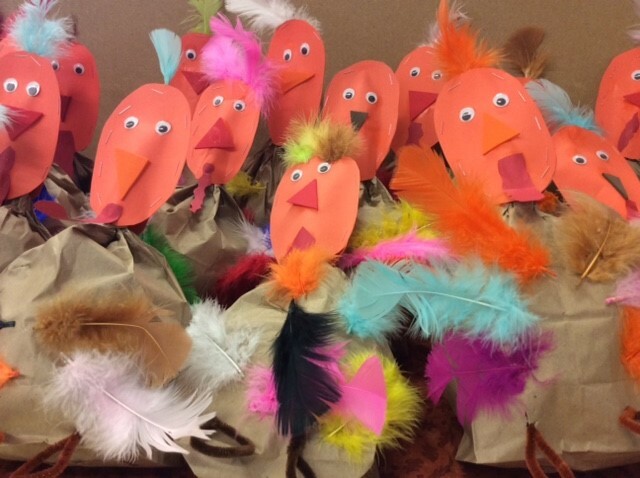 The highlight of our week was meeting our Big Grade 7 Buddies and making the turkeys for our annual turkey patch. These turkeys should have made their way home by now and will be a very adorable centrepiece for your Thanksgiving table. We’ve had two very fun activities with our Buddies now (Terry Fox Run last Thursday) and each pairing is developing a strong relationship. Little Buddies gain so much in having positive examples set before them from senior students; it’s like having another big brother or big sister to show the children what to do and how things work. Big Buddies learn empathy, compassion and patience as they slow their own work rhythm to help tiny hands manage scissors and gluesticks, or gentle reminders to focus on the teacher. Christy and I have been working with Buddies since our Chartwell days and certainly since we’ve been together at Ridgeview – that would be the past 23 years. A Buddy Program ranks among the most beneficial and popular activity for both Big and Little Buddies alike. 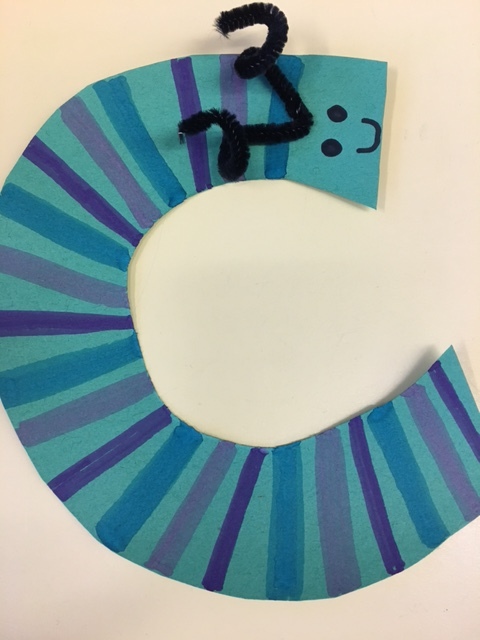 In Math we’re learning October’s pattern, ABC. We’re using this pattern on our monthly calendar, the colour calendar and we represented it in turkey feathers as well! 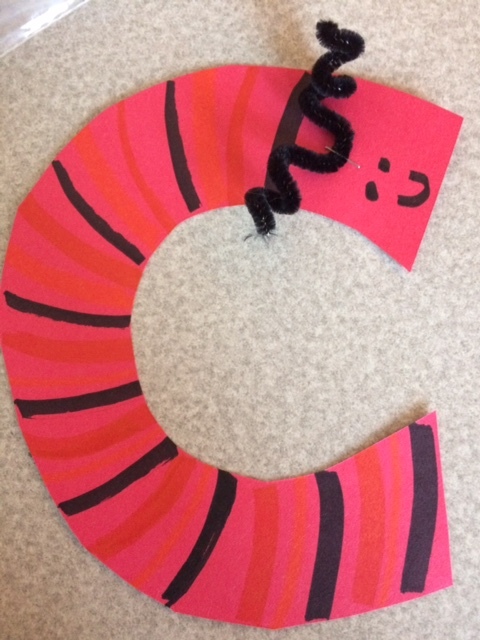 We finished the letter C this week and made these cutie caterpillars as our Alphabet craft. We’ll send these home next week. All Ridgeview families should wait outside until the first bell has rung to signal that you may enter the building. We understand that everyone wants to come inside, particularly in the cold mornings; however, this is a working and preparation time for teachers and we are frequently meeting with staff or parents. Once your children have entered the building, please do not leave them unattended or supervised by another parent. Children are to wait quietly beside their parents, and enter the classroom calmly and in a self-regulated manner after the teacher opens the door. Parents, please say your good-byes quickly and quietly so the children can walk directly into the classroom to begin their day. As we requested earlier this year, students should all have non-spill, refillable water bottles. Screw top bottles are not a good idea for our age group as it’s very easy to knock over the open bottles. 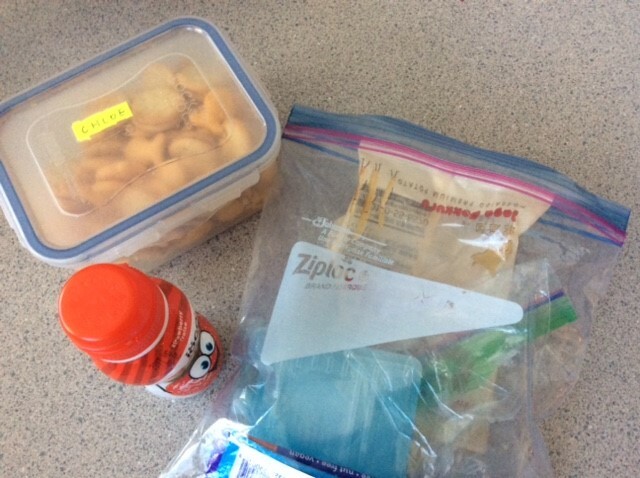 In addition, a medium sized Ziploc bag is necessary to hold the garbage created from snacks throughout the day. It also keeps your child’s lunch kit cleaner, rather than having yogurt, small bits of food and wrappers mixed in with their food. 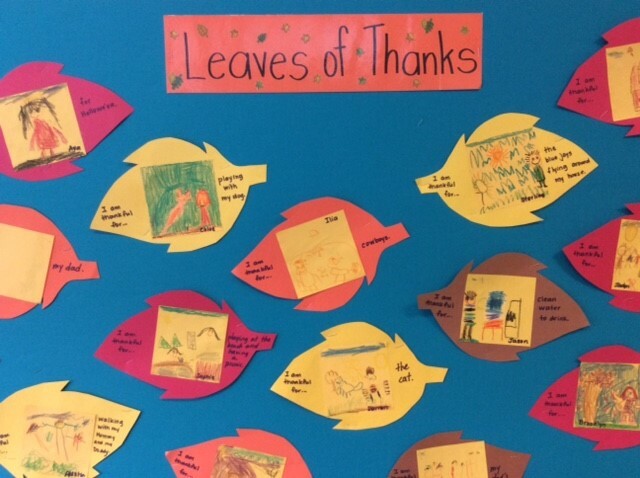 School is closed for the Thanksgiving Holiday on Monday, October 9. School re-opens on Tuesday, October 10. Early dismissal days this week are Wednesday October, 11 and Thursday, October 12 next week at 1:30 pm. October Scholastic orders due Thursday October, 12.